Need an NRVIA certified RV Inspection? Click here. 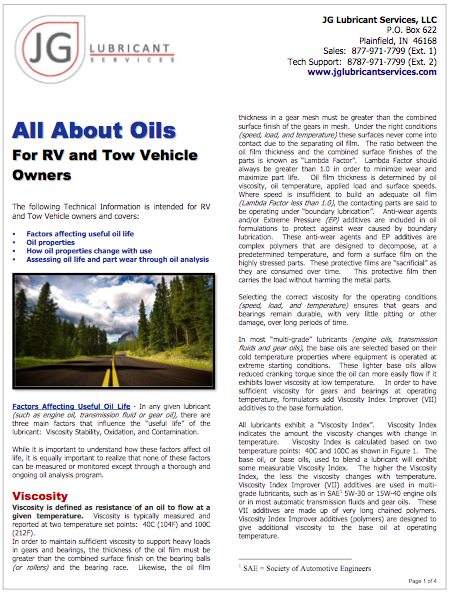 Why bother with oil analysis on your RV and Tow Vehicle? Saves you money by detecting problems that could result in a breakdown and an expensive tow cost. Tells you, and your technician, what parts may need your attention which makes maintenance more effective. 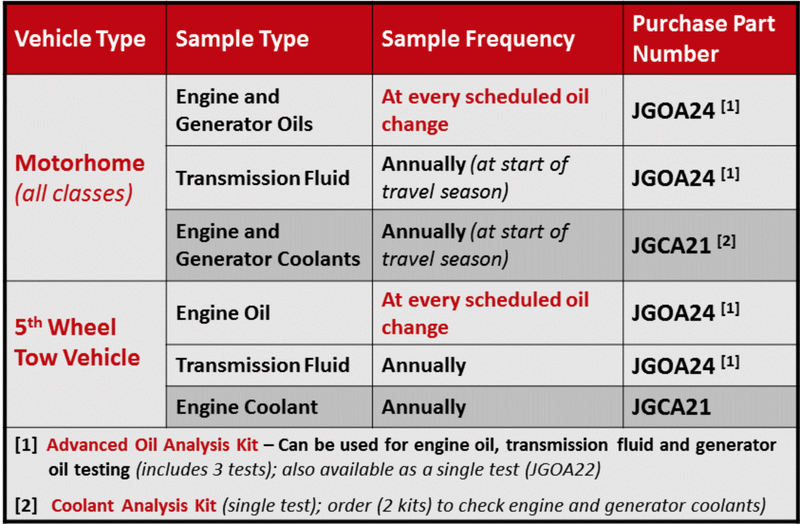 Lets you know if you can safely extend your oil change intervals (some Class A owners are already running up to 25,000 miles between engine oil changes). Gives you the Peace of Mind knowing your RV and towing vehicles stay as reliable and "worry free" as possible. 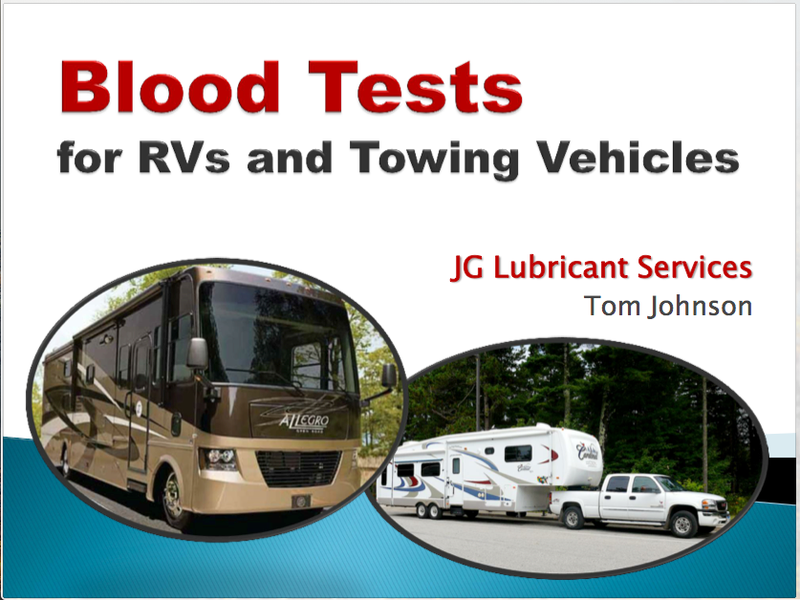 At JG Lubricant Services, we understand the love you have for the open road, finding new places to visit and meeting lots of new friends and friendly folks who share a common love for camping and the great outdoors. We appreciate the pride you take in maintaining your RVs and towing vehicles in tip top shape and so they're ready to go when you are. Don't take any risks on your RV or Tow Vehicle ..... they represent a major investment and you paid good money for them. Think of this as "health care" for your vehicles. You wouldn't take chances with your health, so why take risks with your vehicle engines, transmissions and generators. 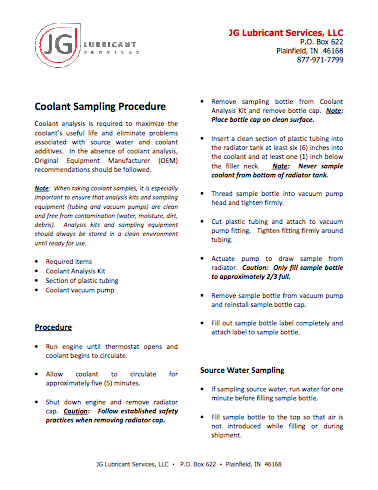 Use the "proven science" of Oil Analysis to help you improve maintenance and ensure that your equipment, your oils and your coolants are performing as they should. Maintain your RV and Tow Vehicle equipment so you keep it as reliable and "worry free" as possible. It's so easy to do and pays for itself many times over through safely extended engine, transmission and generator change intervals. 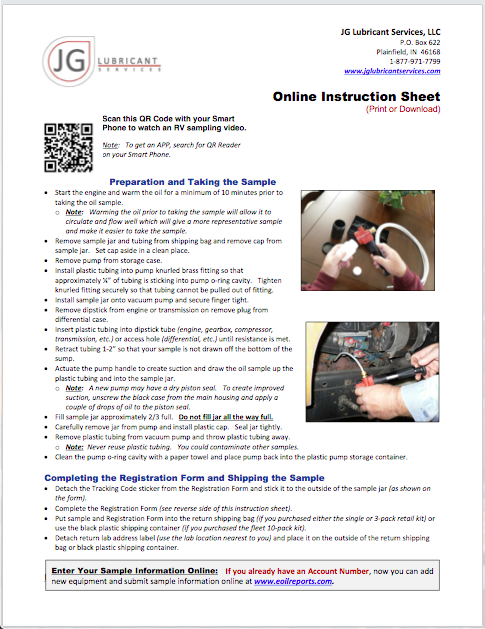 So, if you're ready to improve your vehicle's reliability, it's time to purchase test kits and begin a periodic sampling program today. 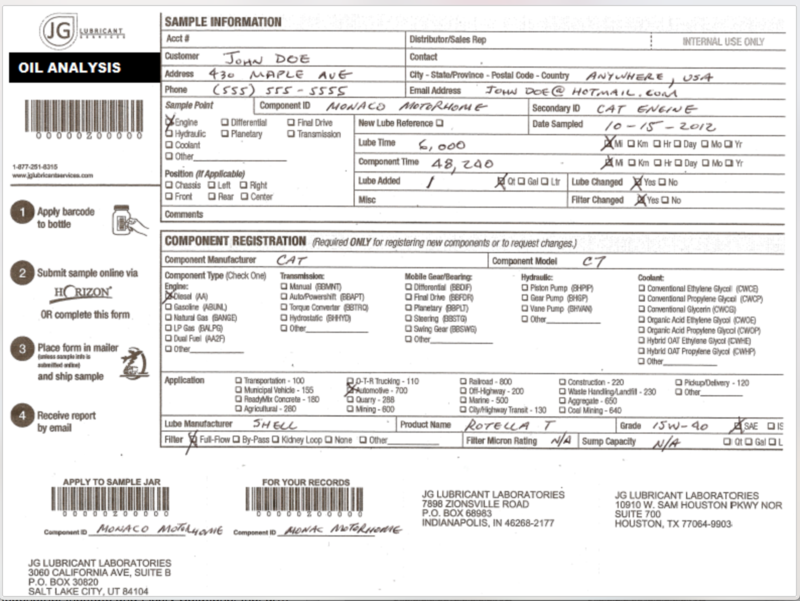 We suggest you test everything to establish a good baseline. 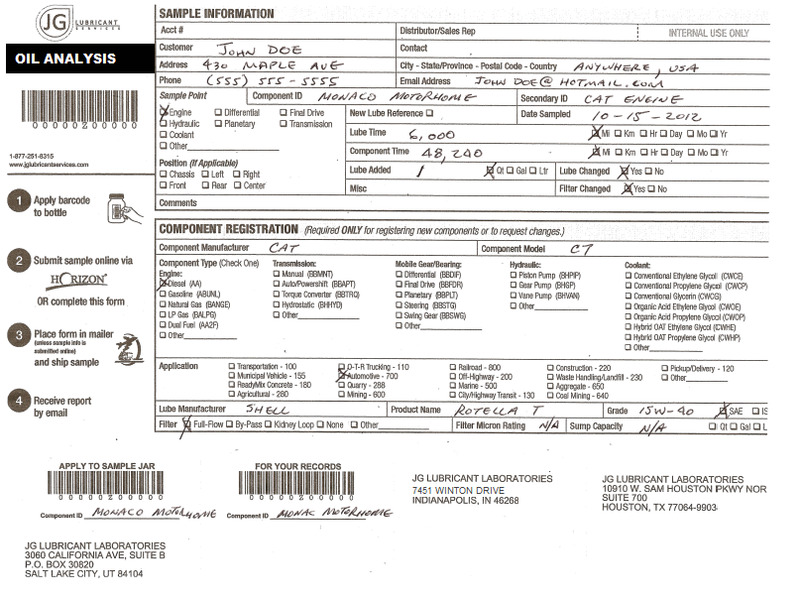 You'll need the following parts to test your engine oil and coolant, transmission fluid, generator oil and coolant. Click here Online Store to purchase these recommended parts from our online store !!! If you have a discount code, don't forget to enter it at checkout!